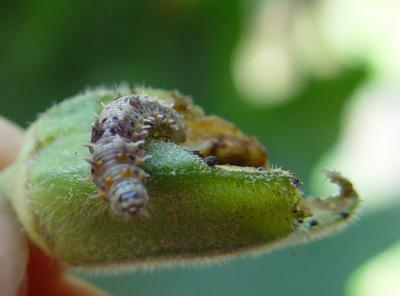 Spiny bollworm | Infonet Biovision Home. It feeds on a wide range of plants and also attacks cocoa. It may prefer wild hosts to crops. If crops are grown while wild hosts are available nearby, the crops may not be badly affected. Wild hosts will also maintain a supply of natural enemies. 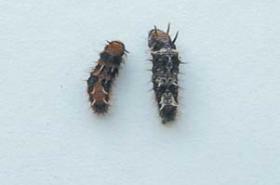 The larva eats the growing tips of the stems and young soft leaves. It's feeding activity prevents the plant from growing properly to form canopy. The attack is more where there is no shade over the cocoa. It's attack therefore may be prevented if fast growing shade trees are provided over cocoa that has been freshly planted.